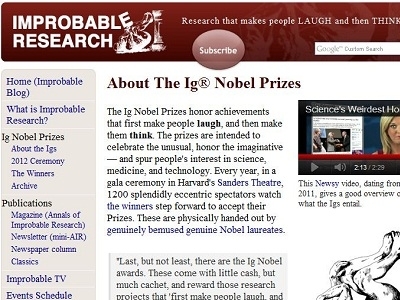 The Ig Nobel Prizes honor achievements that first make people laugh, and then make them think. The prizes are intended to celebrate the unusual, honor the imaginative — and spur people's interest in science, medicine, and technology. In this paper we report on a system, "SpeechJammer", which can be used to disturb people's speech. In general, human speech is jammed by giving back to the speakers their own utterances at a delay of a few hundred milliseconds. This effect can disturb people without any physical discomfort, and disappears immediately by stop speaking.